Prof. Pascale A. Allotey is the Director of the United Nations University International Institute for Global Health (UNU-IIGH). Prof. Allotey has a multidisciplinary background in clinical health sciences, anthropology, and epidemiology and has experience in countries across Africa, Asia, Europe and Australasia. Her research has focused on health equity, health and human rights, gender and social determinants of health, forced migration and marginalisation. Her previous experience includes Professor of Race, Diversity and Professional Practice, Brunel University (United Kingdom); Lecturer and Senior Research Fellow at the Key Centre for Women's Health, WHO Collaborating Centre for Women's Health, University of Melbourne (Australia); and Lecturer in the Tropical Health Program, Australian Centre for International and Tropic Disease and Nutrition, University of Queensland (Australia). Denis Gilhooly has over three decades of experience working in the field of global health and information and communication technology for development (ICT4D). He is currently Founder & CEO of the Global He@lth 2030 Innovation Task Force (2015-present) and Global Digital He@lth Initiative – successors to the UN Digital He@lth Initiative (2008-2015) – and multi-sector and inter-disciplinary partnerships dedicated to catalytic collaboration for data-driven innovation and investment in Universal Health Coverage (UHC) 2030 and the UN Global Goals. Denis has served in the public sector as Executive Director, UN Digital He@lth Initiative and Executive Secretary and Lead Author, UN Broadband Commission for Digital Development. He was previously Principal Adviser, Innovation & Information Infrastructure, World Bank Group (WBG), Principal Adviser to the Administrator & Director, Information & Communication Technology for Development (ICT4D), UN Development Programme (UNDP), and Principal Adviser & Executive Coordinator, World Summit on the Information Society (WSIS). He was a member and lead author of An Taoiseach Bertie Ahern’s two Advisory Committees on Telecommunications and ICT for the Government of Ireland, a founding Commissioner of the Global Information Infrastructure Commission (GIIC), and Executive Secretary and Lead Author of the G8 Digital Opportunity Task Force (G8 DOT-Force) and Director of the G8 Digital Opportunity Initiative. He was a founding member and lead author for UN Secretary-General Kofi Annan's UN ICT Task Force. He has also worked extensively in the private sector as Vice President, Business Development, Teledesic LLC (the Broadband Internet-in-the-Sky venture of Bill Gates and Craig McCaw), Media & Technology Director, The Wall Street Journal and Dow Jones & Co., and founding Editorial & Publishing Director, Communications Week International, The Networked Economy and Global Mobile. Denis holds advanced degrees in Politics, Philosophy and Economics and Shakespearean Studies. Prof. Dr. Ilona Kickbusch is the Director of the Global Health Centre at the Graduate Institute of International and Development Studies in Geneva. Prof. Kickbusch key interests relate to the political determinants of health, health in all policies and global health. She established the Global Health Centre at the Graduate Institute for International and Development Studies in Geneva. In this context she advises countries on their global health strategies and trains health specialists and diplomats in global health diplomacy. She is a member of the Global Preparedness Monitoring Board and the WHO High-Level Independent Commission on NCDS and is co-chair of UHC 2030. She acts as Council Chair to the World Health Summit in Berlin. She has been involved in German G7 and G20 activities relating to global health and chairs the international advisory board for the development of the German global health strategy. She publishes widely and serves on various commissions and boards. She initiated the @wgh300 list of women leaders in global health. She is program chair of the leaders in health network SCIANA. Ilons has had a distinguished career with the World Health Organization. She was a key instigator of the Ottawa Charter for Health Promotion and WHOs Healthy Cities Network and has remained a leader in this field, most recently advising on the WHO activities related to Promoting Health in the SDGs. She was the director of the Global Health Division at Yale University School of Public Health and responsible for the first major Fulbright Programme on global health. She has recently been awarded the Cross of the Order of Merit of the Federal Republic of Germany (Bundesverdienstkreuz) in recognition of her "invaluable contributions to innovation in governance for global health and global health diplomacy". As a way to induce the second phase of India’s technology revolution, in 2005 Mr. Pitroda headed India’s National Knowledge Commission (2005-2009), to provide a blueprint of reform for the knowledge-related institutions and infrastructure for the 21st century in the country. Recently, Sam served as Advisor to the Prime Minister of India on Public Information Infrastructure and Innovation, with the rank of Cabinet Minister. He served as the Chairman of the Smart Grid Task Force, as well as the committees to reform public broadcasting, modernize railways, deliver e-governance, and other developmental activities. Sam is a founding Commissioner of the United Nations Broadband Commission for Digital Development and Chairman of the International Telecommunication Union’s m-Powering Development Board that looks to empower developing countries with the use of mobile technology.In addition, he is a serial entrepreneur having started several companies in the United States. He holds over 15 honorary PhD’s, close to 100 worldwide patents, and has published and lectured widely in the United States, Europe, Latin America and Asia. He lives in Chicago with his wife. Barry Andrews was appointed Director General of the Institute of International and European Affairs (IIEA) starting in April 2017 replacing Tom Arnold. Prior to the IIEA, Barry was CEO of international NGO GOAL from November 2012 to November 2016. He was appointed Minister for Children by An Taoiseach Brian Cowen in May 2008 serving in that position as a member of cabinet until March 2011. Barry was called to the Irish Bar in 1997 and specialised in Children’s Law, practicing between 1997 to 2003 and 2011 to 2012. A former Minister with the Irish Government, Barry was educated at Blackrock College and University College Dublin, where he received a Master’s Degree in Modern History. He began his career as a history teacher, and spent seven years teaching in secondary schools in Dublin. He was called to the Bar in 1997, and practiced as a barrister for five years. Barry became a public representative in June 1999 when he was elected to Dún Laoghaire-Rathdown County Council for the Blackrock Ward.He was subsequently elected to the Irish parliament, Dáil Éireann, in 2002 and served as a member of parliament until 2011.He was appointed Minister of State for Children and Youth Affairs in 2008. In that capacity, he drove a reform agenda in Child Protection services. One of his lasting achievements was the establishment, in 2010, of free pre-school education for all children.Barry is particularly interested in the plight of mothers and children in the developing world.He is married with three children, and lives in Blackrock, Co. Dublin. Dr. Vinton G. Cerf has served as Vice President and Chief Internet Evangelist for Google since October 2005. In this role, he is responsible for identifying new enabling technologies to support the development of advanced, Internet-based products and services from Google. Cerf also served at MCI, the Corporation for National Research Initiatives (CNRI), the U.S. Department of Defense’s Advanced Research Agency (DARPA), and as a member of the Stanford University Faculty. Widely known as one of the "Fathers of the Internet," Cerf is the co-inventor of the architecture and basic protocols of the Internet. In December 1997, President Clinton presented the U.S. National Medal of Technology to Cerf and his colleague, Robert E. Kahn, for founding and developing the Internet. Kahn and Cerf were named the recipients of the ACM Alan M. Turing award in 2004 for their work on the Internet protocols. In November 2005, President George Bush awarded Cerf and Kahn the Presidential Medal of Freedom, the highest civilian award given by the United States to its citizens. In April 2008, Cerf and Kahn received the prestigious Japan Prize. Cerf served as chairman of the board of Internet Corporation for Assigned Names and Numbers (ICANN) from 2000-2007and as founding president of the Internet Society from 1992-1995, and in 1999 served a term as chairman of the Board. Cerf is honorary chairman of the IPv6 Forum, dedicated to raising awareness and speeding introduction of the new Internet protocol. Cerf also served as a member of the U.S. Presidential Information Technology Advisory Committee (PITAC) from 1997 to 2001 and serves on several national, state and industry boards and committees focused on cyber-security and other topics. Prof. Peter Cowhey is Dean of the School of Global Policy & Strategy (GPS) at UC San Diego and holds the Qualcomm Endowed Chair in Communications and Technology Policy. He is an expert on the future of communications and information technology markets and policy, specializing in U.S. trade policy, foreign policy, the Internet and international corporate strategy. His two most recent books are "Digital DNA: Disruption and the Challenges for Global Governance” and “Transforming Global Information and Communication Markets: The Political Economy of Innovation." As chair of the CONNECT Innovation Institute, he is co-leading a project on U.S. innovation policies. Cowhey has served in many leadership positions in the nonprofit word. He served as the chief policy officer for the Aspen Institute’s International Digital Economy Accords project to update policies involving the Internet and global communications markets. Cowhey was also vice chair of the California Council on Science and Technology. He is currently the chair of the board of directors of the Grameen Foundation USA, the U.S. foundation supporting the work of Nobel Peace Prize Laureate, Dr. Muhammad Yunus. Cowhey is a member of the Global Competitiveness Council and the Council on Foreign Relations. Cowhey joined the UC San Diego faculty in 1976. He was director of the University of California's system-wide Institute on Global Conflict and Cooperation from 1999-2006 and Associate Vice Chancellor-International Affairs from 2007-2009. He was the Interim Executive Vice Chancellor of UC San Diego in 2016-2017. Cowhey became dean of the School in July 2002. Prof. Dame Sally C. Davies (FRS, FMedSci) became Chief Medical Officer (CMO) for England and Chief Medical Advisor to the UK Government in March 2011, having held the post on an interim basis since June 2010. Previously, Dame Sally held responsibility for Research and Development (R&D), and was the Chief Scientific Adviser (CSA) for the Department of Health. Dame Sally is independent advisor to the Government on medical matters, with particular responsibilities regarding Public Health. She provides professional leadership for Directors of Public Health. Sally was actively involved in National Health Service (NHS) R&D from its establishment and founded the National Institute for Health Research (NIHR). Sally sits on the WHO Executive Board and has led delegations to WHO summits and forums since 2004. Dame Sally has since been advocating globally on this topic: she has spoken on AMR at numerous events, including the WHA side event in May 2013, the G8 Science Ministers’ meeting in June 2013, the 2013 Global Health Security Initiative in Rome and a number of Chatham House conferences. She was chair of the 2013 AMR forum at the World Innovation Summit for Health in Qatar and is chair of the Strategic and Technical Advisory Group on AMR to the WHO. She has also raised public awareness of the issue through publication of a Penguin book and a TED talk. In 2014 Dame Sally was elected Fellow of the Royal Society. The Honourable Minister of Health, Terrence Deyalsingh, is the Member of Parliament for St. Joseph, in the Republic of Trinidad & Tobago. Deyalsingh’s life and career emulates the diversity of the constituency of St. Joseph, ranging from the rich agricultural Aranguez plains to the vibrant culture reflective of its ethnic, racial and religious mix. Prof. Dr. Jeremy is Director of the Wellcome Trust, a global charitable foundation dedicated to improving health by supporting bright minds in science, the humanities and social sciences, and public engagement. Before joining the Trust he was Director of the Oxford University Clinical Research Unit in Vietnam, where his research interests were infectious diseases, tropical health and emerging infections. He has contributed to 500 peer-reviewed scientific papers and has served on several World Health Organization advisory committees. Jeremy was appointed OBE in 2005 for services to tropical medicine, and he has been awarded the Memorial Medal and the Ho Chi Minh City Medal by the Government of Vietnam, the Frederick Murgatroyd Prize for Tropical Medicine by the Royal College Physicians and the Bailey Ashford Award by the American Society for Tropical Medicine and Hygiene. He is a Fellow of the Academy of Medical Sciences. Jeremy is married with three children. He loves all sport and walking in the Alps. Dr. Farid Fezoua is President & CEO, Sustainable Healthcare Solutions – Africa, GE Health Care. He was born in France in 1966 from Algerian parents. He lived most of his life in Paris where he post Graduated in International Relations from Universit de La Sorbonne in Paris and speaks fluently French, English, Arabic and Russian. Datuk Dr. Noor Hisham Abdullah is the Director-General of Health Malaysia and a Senior Consultant in Breast and Endocrine Surgery in Hospital Putrajaya, Malaysia. He obtained both his Medical Doctor (M.D.) and Master of Surgery (M.S.) degrees from the National University of Malaysia. Between 1997-1998, he completed his Fellowship training in Breast and Endocrine Surgery from the Royal Australasian College of Surgeons. He is world-renowned for his contributions towards groundbreaking surgical techniques and approaches in endocrine surgery, which has helped to shape the landscape of thyroid surgery particularly. Dr Noor Hisham has been conferred numerous local and international awards including the prestigious Fellowship Ad Hominem of the Royal College of Surgeons of Edinburgh in 2018 for his contributions toward healthcare in his capacity as a surgeon, administrator, researcher, educator and mentor to his trainees and colleagues. He chairs multiple medical professional councils and national-level technical committees, published in peer-reviewed journals, and authored many chapters in various textbooks on endocrine surgery. Apart from his active involvement as a policymaker in global organisations such as WHO and the Drug for Neglected Disease Initiative (DNDi), he is also a Councilor at Large (2017-2021) in the Executive Board of International Society of Surgery (ISS) and chairs the Global Surgery Committee of ISS. His special interest lies in enhancing the accessibility and affordability of universal healthcare coverage through digital technology innovation to bring personalised healthcare back to the community and home. He co-chairs the Telemedicine Development Group, which is a platform for regulators, academia and industry to collaborate in supporting the development, research and innovation of digital health initiatives in Malaysia. Dr. C. James Hospedales, a citizen of Trinidad & Tobago, is the Executive Director of the Caribbean Public Health Agency (CARPHA) since February 2013, and Chairman of the Board of the NCD Alliance. From 2006-2012, Dr. Hospedales was responsible for the PAHO program for prevention and control of chronic noncommunicable diseases (NCDs). He played a key role in increasing priority and resources for NCDs, including helping organize the CARICOM and UN Summits on NCDs. He pioneered the Pan American Forum for Action on NCDs, which brings together governments, civil society, academia & business. He has also been a champion for civil society involvement in efforts to improve health, helping to catalyze the formation of the Healthy Caribbean Coalition. From 1998–2006, Dr. Hospedales was Director of the Caribbean Epidemiology Centre. He was instrumental in developing donor partnerships for HIV/AIDS prevention, and a partnership with the Caribbean tourism industry to improve health, safety and environment conditions. Dr. Hospedales was a member of the Caribbean Commission on Health and Development, which made policy recommendations in 2005 to the Heads of Government and named chronic diseases as a super-priority for the Region. Dr. Hospedales’ career has included service as an Epidemic Intelligence Service Officer with the US Centers for Disease Control, as an epidemiologist at CAREC, and several years working in public health for the UK National Health Service. Dr. Hospedales graduated with honors in medicine from the University of the West Indies. He has a Master of Science degree in community medicine from the London School of Hygiene and Tropical Medicine, is a Fellow of UK Faculty of Public Health, and an accredited partnership broker with the Partnering Institute of the UK. He has published more than 60 papers and reports. Martha serves as Chief of Staff for the Global Health 2030 Innovation Task Force and Global Digital Health Initiative (GDHI) 2030 where she liaises with Advisory Council Members and manages day to day operations. With a background in Silicon Valley technology companies, Martha has worked with Save the Children UK developing and securing funding from the Bill & Melinda Gates Foundation for the EVERYONE Campaign, a global program for Maternal and Child Health. At the United Nations Development Programme (UNDP) Martha developed and secured funding for the Global Health Innovation Technology Fund (GHIT Fund), a public private partnership with the Government of Japan, Japanese Pharmaceutical Companies, and the Bill & Melinda Gates Foundation for the discovery, access and delivery of new global health technologies for infectious diseases. For the past five years, Martha has been working directly for founders of health technology start-ups in San Francisco, Johannesburg, Dhaka, London, and Brussels. She has researched and advised on business models, growth strategy, partnership engagement and agreements, intellectual property, program measurement and evaluation, recruitment, technical platforms, and advisory and board recruitment. Martha graduated from Wellesley College, with graduate degrees from the University of California at Berkeley.She is a member of Chatham House in London, and an advisor to the Albright Institute. Michikazu Koshiba is Head, Center on Global Health Architecture, Mitsubishi UFJ Research and Consulting Co., Ltd. He began his career in the field of international development and humanitarian relief fields as an NGO worker serving disaster-affected communities, where he embraced the concepts of “sustainability” and multi-stakeholder engagement as the essential value for his future career. 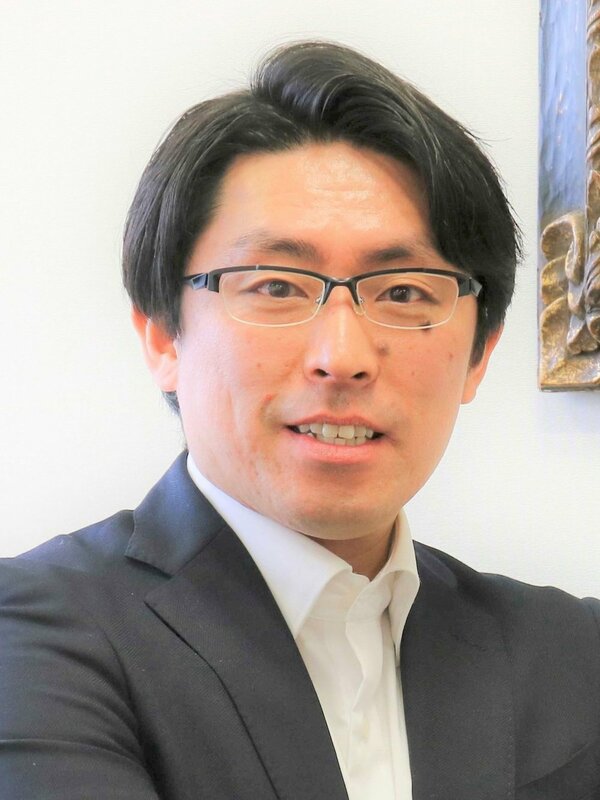 In the creating of shared values-related businesses, especially in global health from the mid-2000s, he has worked with many established corporations and startups in Japan, as well as with the financial community, industry bodies, government, the media, NGOs, and academia. His favorite description of his role is as a nexus between conventional politics and those of the future. Since 2016, he has established an action-oriented consortium called “Access to Health” where the members are focused on how to make contribution to global health including Infectious Diseases, Nutrition, NCDs, and Maternal and Child Health to build new partnerships, create new innovative projects, businesses and products, and mobilize resources and advocate policy changes for individual and global progress. Currently he is playing a role as a facilitator and coordinator for various stakeholders, working as the Head, Center on Global Health Architecture, Mitsubishi UFJ Research and Consulting Co., Ltd.
Prof. Dr. Osamu Kunii, M.D., M.P.H., Ph.D. has more than 25 years of experience in global health and development in over 100 countries. After working in two hospitals, he had served for two years as physician in a remote village deep in the mountains in Tochigi, Japan. He engaged in emergency medical relief in several countries as co-founder and deputy representative of international medical NGO called Association of Medical Doctors of Asia (AMDA). At the International Cooperation Bureau, International Medical Centre of Japan (currently called National Centre of Global Health and Medicine), he served as a doctor for emergency relief, project planning, implementation, evaluation and research in the fields of infectious diseases control, primary health care, maternal and child health, and health system strengthening, especially through Japan International Cooperation Agency (JICA). After serving as Assistant Professor at the University of Tokyo, Graduate School of Medicine, he joined the Ministry of Foreign Affair as Deputy Director of the Aid Planning Division, and then moved to the Nagasaki University, Research Institute of Tropical Medicine to serve as Professor of Global Health. As Senior Health Strategy Advisor at UNICEF headquarters in New York, he engaged in maternal and child health policy and strategy development at global and country level. He then moved to country offices of UNICEF working for three years in Myanmar as Chief of Health and Nutrition Programme where he engaged in emergency relief during both the Saffron Revolution and Cyclone Nargis as well as infectious diseases control, HIV and malaria; for three years in Somalia Support Centre as Chief of Child Survival and Development where he scaled up essential services of health, nutrition, water and sanitation for remote communities and displaced people suffering from civil war, famine and disease outbreaks. Since March 2013, he has served as Head of Strategy, Investment and Impact Division at the Global Fund taking the lead for four departments and one team: Access to Funding; Strategic Information; Technical Advice and Partnership; Community, Rights and Gender; Technical Evaluation and Reference Group Support. Dr. Kunii received his medical degree from Jichi Medical University, Master of Public Health from Harvard School of Public Health, and doctoral degree from the University of Tokyo. Dr. Motoo Kusakabe is currently Founder & President of the Open City Institute In., which developed “Community Carte System (CCS)”, life-history data platform of social/health-related risk/resilience factors that measures and predicts the risk transfer mechanisms covering infancy to old-age, physical/mental health and social capital. Motoo previously served at the World Bank Group (WBG) as the Vice-President for Resource Mobilization and Co-financing in charge of creating global partnership to reduce poverty, promoting information and communication technology (ICT) cluster development, and community-driven initiatives in many developing countries. He has been a Visiting Scholar at Stanford University, Digital Vision Fellowship Program. At the European Bank for Reconstruction and Development (EBRD) in London he served as the Senior Counsellor to the President, in charge of promoting quality/economic/social impact of EBRD’s projects, promoting ICT clusters, incubators and seed funds in 14 countries in Eastern Europe and Central Asian countries. Motoo has been Visiting Professor at Ritsumeikan Asia Pacific University, Enterprise Fellow at Essex University, UK, and Visiting Professor at Environment Institute, University College London, UK.He graduated with a BA and MA in Mathematics from the University of Tokyo, M.Phil and PhD Candidateship in economics from Yale University, USA. Dr. Paul Litchfield (OBE, OStJ, FRCP, FFOM) is Chair of What Works Wellbeing and former Chief Medical Officer (CMO) for BT Group plc. He has been active in the field of workplace health and disability for more than 30 years. He has been involved in UK national and European initiatives to promote good physical & mental health, to improve rehabilitation back into work and to reduce the stigma of mental ill health. In April 2015 he was additionally appointed as Chair of the UK’s What Works Centre for Wellbeing, which is dedicated to understanding what can be done to improve wellbeing across society. He is also a member of the World Economic Forum’s Global Agenda Council on Mental Health and he chairs the ethics committee for the UK Defence Medical Services. In 2013 and 2014 he was appointed to undertake statutory independent reviews of the Work Capability Assessment and to advise the Secretary of State for Work & Pensions. He was previously a co-author of the independent review for the UK Government “Realising ambitions: Better employment support for people with a mental health condition”. Prof. Nii Narku Quaynor is Founder & Chair of Ghana Dot Com and former Chairman of the National Information Technology Agency of Ghana. He is one of the founding members of the Computer Science Department at the University of Cape Coast in Ghana, and continues to hold a professorship there. He is also a member of the Council of the University of Ghana. In 2000, he became director of ICANN for the African region. Nii graduated in engineering science from Dartmouth College in 1972 and received a Bachelor of Engineering degree from the Thayer School of Engineering there in 1973. He then studied Computer Science, obtaining an M.S. from the State University of New York at StonyBrook in 1974 and a Ph.D. from the same institution in 1977. On Quaynor's return to Ghana from the United States in the early 1990s he established some of Africa's first Internet connections and was involved in setting up some key organisations, including the African Network Operators Group (AfNOG).He introduced Value Added Networks in the region through the introduction of the SWIFT, Internet and Commerce networks, and was founding chairman of AfriNIC, the African numbers registry. Quaynor is the Chairman of the Ghanaian company Network Computer Systems, a member of the United Nations Secretary General Advisory Group on ICT, member of the ITU Telecom Board, Chair and of the OAU Internet Task Force, President of the Internet Society of Ghana, and member of the World Bank Infodev TAP. In December 2007, Quaynor was awarded the Jonathan B. Postel Service Award from the IETF (The Internet Engineering Task Force). Also on 26 June 2013, he was selected for induction into the Internet Hall of Fame by the Internet Society.He serves as a Commissioner for the Global Commission on Internet Governance. Johanna Ralston has worked in global NCDs and their risk factors for over two decades. She has served as CEO of World Obesity Federation since 2017, focusing on changing the narrative and elevating obesity on the global agenda. From 2011-2016 Johanna served as CEO of World Heart Federation, the main CVD organization in official relations with WHO and a founder of NCD Alliance. Johanna’s work included mobilizing the CVD community around the NCD agenda and WHO initiatives including the Global Action Plan on NCDs 2013-2020, Global HEARTS, and the health-related SDGs, as well as a shared strategy to address rheumatic heart disease. Johanna also served as Vice Chair, steering group member and Interim Director of the NCD Alliance during that period, and led the communications strategy for the 2011 UN HLM and strategic planning for the second business plan. From 1999 until 2011 Johanna was Vice President of Global Strategies at American Cancer Society, overseeing global advocacy and building the global capacity building program to strengthen community-based cancer and tobacco control in LMICs. She is also a fellow at Geneva Centre for Security Policy, leading the course on global health security. A dual citizen of Sweden and the US, Johanna is an alumna of Harvard Business School and studied public health at Johns Hopkins, after a first degree in literature. She serves on various committees and boards including Lung Cancer Alliance, the WEF Global Future of Health and Healthcare Council, and the WHO Expert Advisory Panel on Surgical Care and the NCD Business Plan Expert Group. Johanna’s interest in NCDs grew significantly in her 20s when she was diagnosed with cancer and MS. She has been in remission from both for close to two decades and has written on the role of lived experience with NCDs and the NCD narrative. 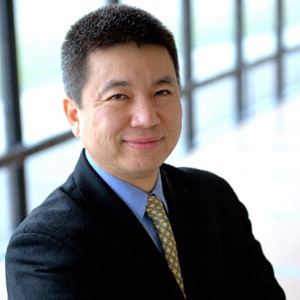 Dr. Rhee serves as Vice President & Chief Health Officer of IBM Corporation and IBM Watson Health, where he has global responsibilities for Watson Health and assuring a Culture of Health at IBM. Prior to joining IBM, Dr. Rhee was Chief Public Health Officer at the Health Resources and Services Administration (HRSA), which is the primary federal agency for improving access to health care services for people who are uninsured, isolated, or medically vulnerable. While at HRSA, he served on and led numerous national initiatives related to prevention, quality, and public health. Dr. Rhee also served as the Director of the Office of Innovation and Program Coordination at the National Institutes of Health (NIH), which is the primary federal agency for research. While at NIH, he served on and led numerous initiatives related to eliminating health disparities and promoting health equity. Prior to his federal government service, he worked in community health settings as the Chief Medical Officer of Baltimore Medical System Inc., the largest network of Federally Qualified Health Centers in Maryland. In addition, Dr. Rhee served five years as a National Health Service Corps Scholar and Medical Director at Upper Cardozo Health Center, the largest community health center in Washington, DC. During that time, he taught at the George Washington University School of Public Health, where he received a “Best Teacher” award for his class in Community Health Leadership. Dr. Rhee was a Chief Resident and performed his medical residency training in both internal medicine and pediatrics at Cedars-Sinai Medical Center in Los Angeles. He obtained his medical degree from the University of Southern California. Dr. Rhee also holds a master's degree in public policy from the John F. Kennedy School of Government, Harvard University with a concentration in Health Care Policy. He acquired his Bachelor in Science degree from Yale University in Molecular Biophysics and Biochemistry, where he also served as President of the study body. In addition to his service on various public and private sector committees and boards, including those sponsored by the Institute of Medicine, Agency for Healthcare Research and Quality, the Robert Wood Johnson Foundation, the Clinton Foundation, the National Quality Forum, and the National Business Group on Health, Dr. Rhee speaks frequently and has published in numerous peer-reviewed journals, including American Family Physician, Pediatric Annals,Journal of Health Care for the Poor and Underserved, and the American Journal of Public Health. In addition to the above, he is active in a wide range of other Global Health initiatives, including the boards of amfAR, Healthright, Fitzmi, The Hawn Foundation (Goldie Hawn) and Global Health Corps. His business roles include Zumba (Healthy Lifestyle), Moshi Monsters, Lionsgate, Ping4 (Mobile Alerts), DJZ and the private equity advisory boards of Tower Brook (NY/London) and ClearVue (Shanghai). Roedy holds degrees of Bachelor of Science from West Point and an MBA from Harvard. He has recently joined the Council on Foreign Relations (CFR). Mr Roedy is one of the Exec Producers of the film documentary “Battle of amfAR”, which premiered on HBO on World AIDS Day, December 1st 2013. He is also the author of ‘What Makes Business Rock’, one of CNBC’s Best Books of Summer 2011. Bill is currently working on a second book on the art of intelligent perseverance. Dr. Ernest Darkoh is an internationally-known expert in strategic planning, systems and large-scale program implementation. Ernest’s recent work has focused on using new cutting-edge technologies, big data and analytics to radically improve healthcare delivery and catalyse broader development sector outcomes. Ernest has worked with governments, international normative organizations and the private sector across Africa, Asia, the Caribbean, and North America. Before co-founding BroadReach in 2003, Ernest served as the first operations manager of Botswana’s national Anti-Retroviral program, currently regarded as one of the most successful long term programmess in the world. Prior to Botswana, Ernest worked as a management consultant for McKinsey & Company. Ernest earned his BS in Chemistry and Biochemistry & Molecular Biology from the University of Wisconsin, his MD from Harvard Medical School and his MPH from Harvard School of Public Health. He completed his MBA at the Said School of Business at Oxford University as a Fulbright Scholar. Dr. John Sargent is recognized globally as a healthcare solutions thought-leader in market development strategy, health systems analytics and optimization, and public-private partnerships in emerging markets. John consults to governments, multinational companies and donor organizations. He is a popular keynote speaker at industry conferences. John worked to secure significant contracts with USAID: $100 million contract for South Africa, the Kenya USAID APHIA II Western project, the USAID Strengthening Pharmaceutical Systems program, the USAID AIDSTAR-One project, and the Management and Leadership Training Program in Zambia. He currently serves as BroadReach’s co-CEO and oversees its analytics and technology focus areas of the business. Prior to co-founding BroadReach, John was a management consultant specializing in strategic and clinical operations projects for top academic and private US hospitals. His last position before founding BroadReach was Senior Director and National Practice Leader in Clinical Operations for the Advisory Board Company (ABCO), a leading US healthcare think-tank. Additionally, has served as member of the Board of Directors of the Fulbright Association. John earned an undergraduate degree from Dartmouth College, a master’s degree from Oxford University as a Fulbright Scholar and an MD from Harvard Medical School.